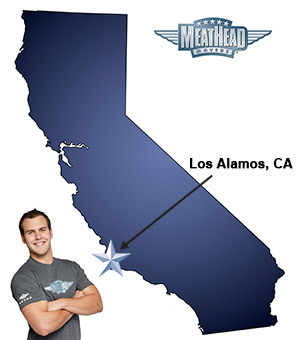 Whatever your moving needs may be, Meathead Movers will help you feel at home in Los Alamos. Our professionally trained student-athlete movers and our moving concierge will be with you for the entirety of your move to Los Alamos. Welcome to Meathead Movers of Los Alamos! If you are moving to or from anywhere in Los Alamos we are the moving company for you! Our professionally trained student-athlete movers and our move concierge are here to help you with every stage of your move in Los Alamos. Take a step back in time in Los Alamos. Located in Santa Barbara County, Los Alamos is a small town with old western charm. The city was founded in 1876 by two ranchers who decided to donate the land to create the town. Since then the town has grown but has still maintained that classic western style. Stay at the historic 1880 Union hotel, and explore their themed suites, or visit their variety of art galleries, antique shops, and food and wine tasting rooms. You can’t miss Los Alamos Old Days, which is a festival that honors the town’s old western heritage. If you are considering making this classic town your new home, contact Meathead Movers to find out how we can help you with your move. Our moving company specializes in local, long-distance, and commercial moves to, from, and within Los Alamos. We also provide reliable packing, storage, on-site relocations, and our distinctive moving concierge service, which connects you with local service providers. All our student-athlete movers are thoroughly screened and trained before their first move. With branches not just in Los Alamos, but all throughout California, we are your one-stop resource for all your moving needs, no matter where your California move takes you. In fact, you can see what your neighbors in Los Alamos have to say about us. With our 100% satisfaction guarantee, the only thing you have to lose is the stress that comes from moving! So contact us today for a free no-obligation moving quote and to learn how we can help you on your next move! Moving to Los Alamos? Here are some helpful resources. View more Los Alamos resources. The guys were on time, hard working, and knew what to do. All around good service. The moving crew was hardworking, happy, friendly and respectful. They got the job done! Been dwelling on this for a longggg time. The boys had a lot on their plate that day. Maybe I should have broken it up into 2 days... I wish my husband would have been there to guide and direct them a little better and follow the initial "plan" as it was laid out before they started... They need to remember and be mindful that they are handling people's "stuff" and that "stuff" can be very expensive.... It's not all college / frat house hand-me-down furniture. I am concerned what I might find once our items finally do ship to Texas and we unpack it. The way the packing process was explained, how I had it imagined from that explanation and how it played out were different. What's done is done.... I will recommend MM but also advise them that they need to really watch how things are being packed etcetera. ?? The guys were great! Very helpful! Efficient, professional and the movers, Michael and Mason, had great attitudes.